Koop was born in Brooklyn, New York, the only child of John Everett Koop (1883–1972), a banker and descendant of 17th-century Dutch settlers, and Helen (née Apel) Koop (1894–1970). In 1937, he earned his A.B. degree from Dartmouth College, where he was given the nickname “Chick” (occasionally used for his first name, Charles, but here an allusion to a chicken coop). His interest in medicine followed a year in hospital following a childhood skiing accident and brain hemorrhage. He earned his MD degree from Cornell Medical College in 1941 and doctor of science degree in medicine from the University of Pennsylvania in 1947. From 1946 to 1981, Koop was the surgeon-in-chief at the Children’s Hospital of Philadelphia (CHOP). Koop was able to establish the nation’s first neonatal surgical intensive care unit there in 1956. He helped establish the biliary atresia program at CHOP when pioneering surgeon Morio Kasai came to work with him in the 1970s. He also established the pediatric surgery fellowship training program at CHOP. During his tenure there he graduated thirty-five residents and fourteen foreign fellows, many of whom went on to become professors of pediatric surgery, directors of divisions of pediatric surgery, and surgeons-in-chief of children’s hospitals. Koop became a professor of pediatric surgery in 1959 and professor of pediatrics in 1971 at the University of Pennsylvania School of Medicine. In contrast to his years as surgeon general, when it was his policies and speeches that had bearing on other people, his years as an operating pediatric surgeon involved a more individualized, direct, hands-on effect on others. During the course of his long career, for example, he performed some seventeen thousand inguinal hernia repairs and over seven thousand orchidopexies (surgery for correcting undescended testicle). He developed new procedures, such as the colon interposition graft for correcting esophageal atresia (congenital lack of continuity of the esophagus) or ventriculoperitoneal shunts for treatment of hydrocephalus (accumulation of excessive cerebral spinal fluid in and around the brain causing neurological problems). He also tackled many difficult cases ranging from childhood cancer to surgeries done on conjoined twins, of which he and his colleagues operated upon ten pairs during his 35-year tenure. In all he operated on many children and babies with congenital defects ‘incompatible with life but amenable to surgical correction’. In 1976, Koop wrote The Right to Live, The Right to Die, setting down his concerns about abortion, infanticide, and euthanasia. Koop also took some time off from his surgical practice to make a series of films with Christian apologists Frank Schaeffer and his father Francis Schaeffer in 1978, entitled Whatever Happened to the Human Race? based on the book of the same title that was previously written by the elder Schaeffer. Frank Schaeffer and his associate, Jim Buchfuehrer provided a private, five hour screening to U.S. Rep. Jack Kemp and wife Joanne on their home that, according to Frank Schaeffer’s account of the late evening and early morning event in his book Crazy for God, led to both the Schaeffers and Koop obtaining “…access to everyone in the Republican Party”. President Ronald Reagan, shortly after his first inauguration, appointed Koop Deputy Assistant Secretary for Health in February 1981. It was understood that Reagan would later nominate Koop to be surgeon general. As expected, Koop was nominated for U.S. surgeon general by Reagan later in 1981. Many liberal politicians and women’s groups opposed the nomination because of Koop’s very conservative views and strong anti-abortion beliefs. His nomination was confirmed by the U.S. Senate on November 16, 1981, by a vote of 60–24. He was sworn into office on January 21 the following year. In a January 10, 1989 letter to Reagan, Koop said that there was insufficient evidence to substantiate issuing the finding desired by the administration. He also commented about how some of the president’s advisers thought that “it was a foregone conclusion that the negative health effects of abortion on women were so overwhelming that the evidence would force the reversal of Roe v. Wade”. Koop did not present the draft report to Reagan and claimed he never approved it. In March 1989, the “Koop Report” became public after it was subpoenaed and became part of a Congressional subcommittee hearing. Although there were allegations that the report had not been released previously because it was biased, the document contained all arguments on both sides of the issue. Following his career as Surgeon General, Koop was on The Firestorm Solutions Expert Council. 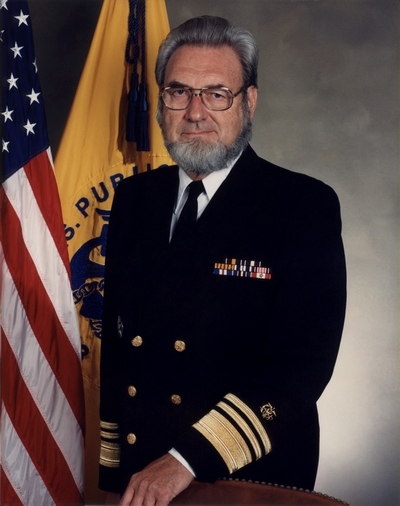 Koop hosted a documentary series in 1991, simply titled C. Everett Koop, M.D. It aired for six episodes on NBC. Koop and other investors established drkoop.com in 1997, during the dot-com bubble. 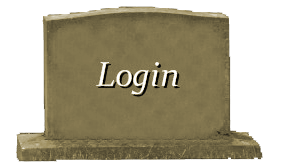 This medical information website was one of the first major online sources of health information. Critical review of the site content revealed that many of the private care listings, medicinal recommendations, and medical trial referrals were paid advertisements. 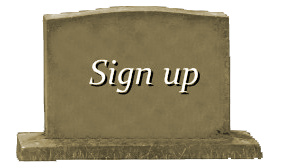 The website went bankrupt in 2001 and the address now re-directs to another health-related website. Koop continued to endorse Life Alert bracelets for the elderly. In 1999 testimony before Congress, Koop minimized concerns from health groups about the severity of allergies to latex gloves. It was later discovered that a company that manufactured latex gloves had previously paid Koop $650,000 for consulting work. Koop held three professorships at Dartmouth Medical School, where he was also the senior scholar at the C. Everett Koop Institute.